I came across Kitch by pure accident. Mumma and I needed to find somewhere to go for lunch — somewhere with a decent selection of vegetarian food. Kitch popped up on a Google search, so I clicked on the menu and we were sold by the all-day breakfast (we love a good breakfast). Luckily we weren’t disappointed. Finding a new local foodie spot always excites me, more so when their approach to food is in line with mine. Kitch focus on natural, unprocessed foods that are free from additives like refined sugars and they have tonnes of vegetarian options, most of which can easily be made vegan. Everything is cooked fresh to order, too. I ordered the full veggie breakfast, which cost a very reasonable £8.50. The falafel was crisp on the outside and soft in the middle, with lots of flavour from the sweet potato — it puts the store-bought stuff to shame. The egg had a perfectly runny yolk and the homemade baked beans made a nice change from the tinned ones, although I thought they could have been seasoned a teeny bit more. I may experiment with making my own. For my drink I went for this absolute babe of a smoothie. I tend to drink green smoothies and juices instead of coffee these days, since they give me the energy boost without the nervous jitters, and this is hands down the best one I’ve had. 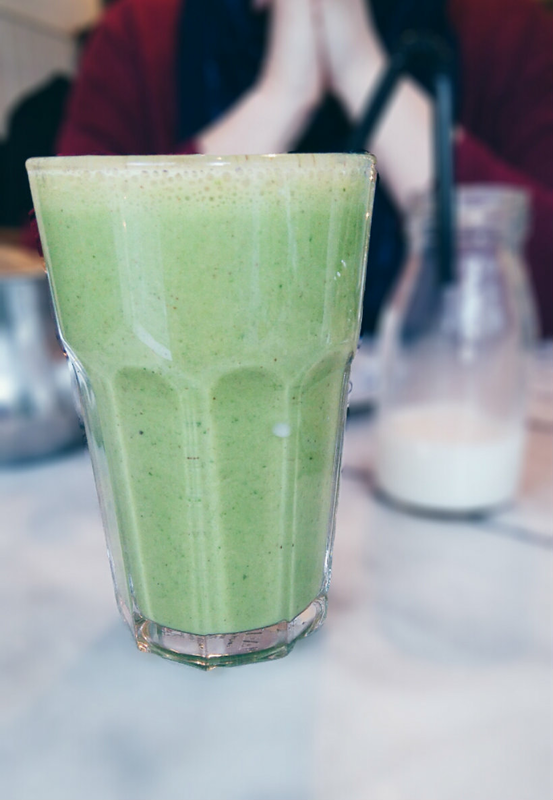 This particular smoothie (I think it’s called Green Goddess) contains banana, spinach, avocado, almond milk, almond butter, and spirulina, and let me tell you, the almond butter makes everything taste so much better. We sat in the window, which is perfect for people watching, especially in a pedestrianised street like this one. My only complaint? Service was slow. 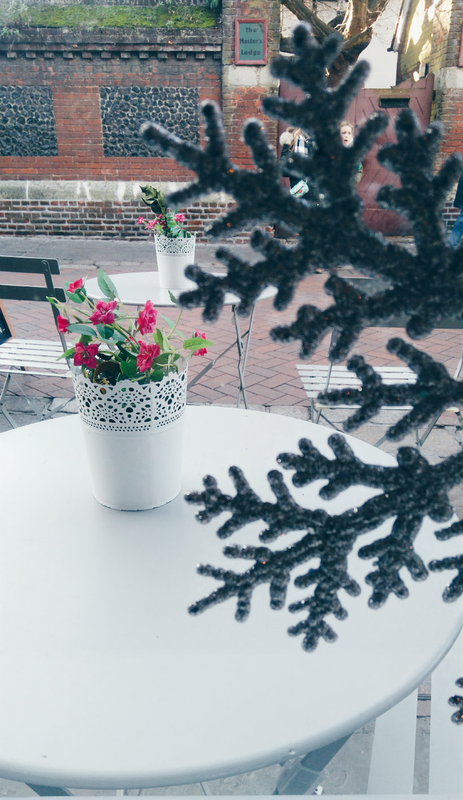 But the staff were really friendly and the café was packed, even though we got there just before 12, so I’m guessing this is because they make everything fresh. Given how good our food was, I’m happy to overlook this, but it’s not somewhere to go if you need a quick meal. 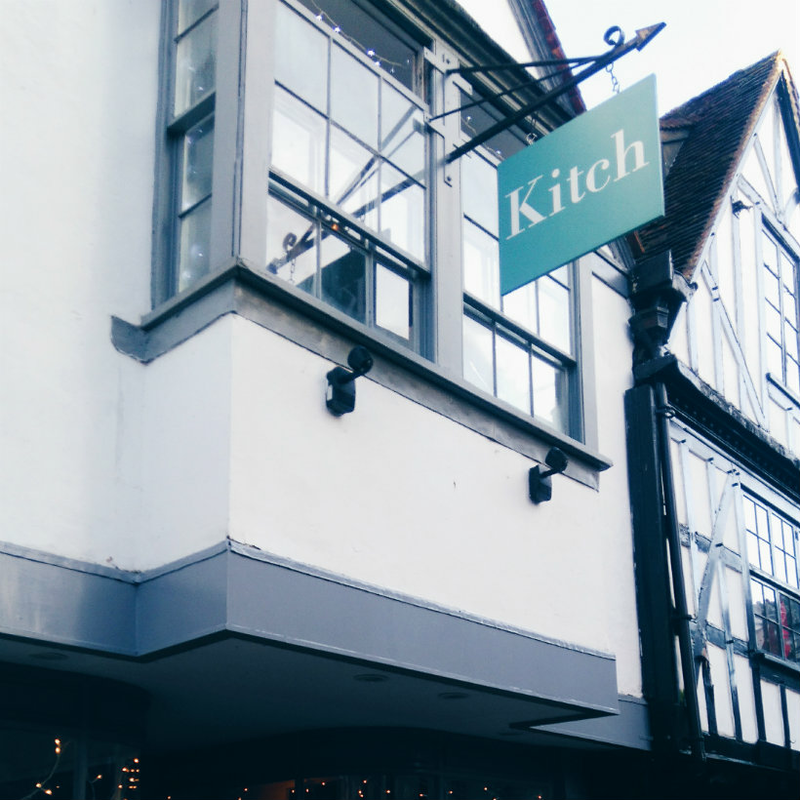 I’d definitely recommend Kitch if you’re in Kent, though — I can’t wait to go back and try more of their food. 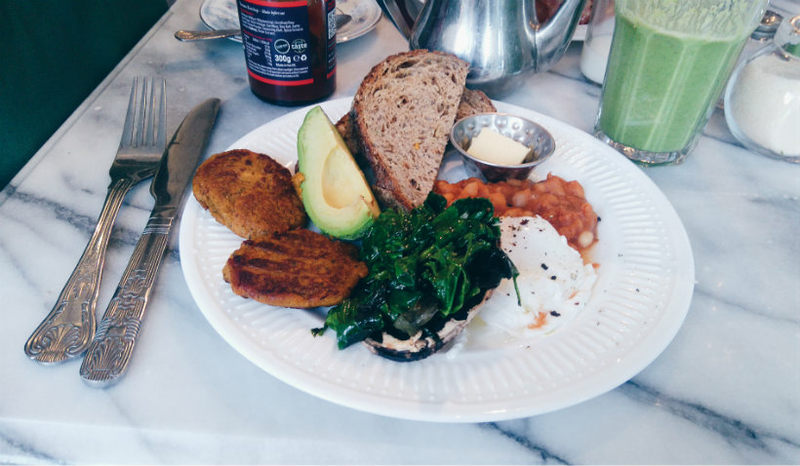 What are your favourite veggie breakfast foods? Let me know in the comments!